Access apps and mobile-optimized sites related to Library resources. 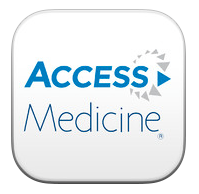 Access the Health Science Library's journals from your tablet, iPhone or Android! Read by QxMd is an app licensed by the Library that creates a browsable newsstand of journals. Download the free app from the Apple or Google Store, then log in using your library credentials, these will be the same used for remote access. View QxMD from your browser by simply going to https://www.readbyqxmd.com/. From your Android, iOS or Kindle Fire device, visit the Apple App Store, Google Play Store or Amazon App Store. Search for “QxMD” and download the app to your device. Tap on the app icon to open QxMD. Enter your account information. Go to Settings (the little wheel in the upper right corner), then Institutional Access, scroll to New York Medical College. Use Automatic Login Using Barcode, then enter NYMC.EDU login (email and password). After downloading the app, and enter your ClinicalKey username and password to start using the app. network. These instructions outline how to activate remote access. To activate and for continued access to the app, the user must have an active My Access account and sign in every 90 days through your institution, either on-site or via the Library Proxy. To download the app, please visit the App Store or Google Play.